– shelves, products, pricing, promotions and more. 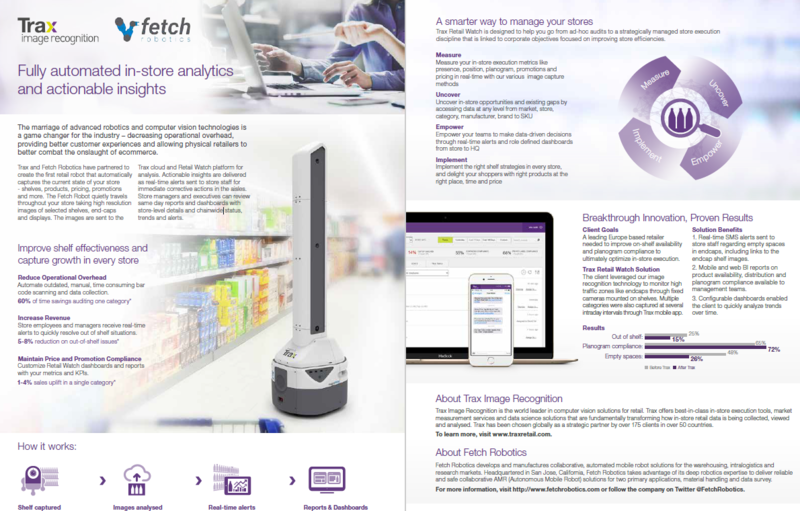 The Fetch Robot quietly travels throughout your store taking high resolution images of selected shelves, end-caps and displays. The images are sent to the Trax cloud and Retail Watch platform for analysis. Actionable insights are delivered as real-time alerts sent to store staff for immediate corrective actions in the aisles. Store managers and executives can review same day reports and dashboards with store-level details and chain wide status, trends and alerts.